Recently, I have come down with an interest in making hexagon blocks…hexagon-itis. It all began when I read a book by Sandy Gilreath; 52 Tuesdays-A Quilt Journal. Gilreath told the story of her year in 52 hexagon blocks. She uses many different techniques for each block; including raw edge and needleturn applique, free motion quilting, hand embroidery, etc.. I really liked the idea of making a journal with fabric, and the author encourages people to do the same. Previously, Mary Puckett, from Zippy Quilts, had posted about One Block Wonder quilts. I checked out the book she recommended, plus some others, and I am fascinated by the beauty of this kaleidoscope quilt made of hexagons. The books give great directions and have helpful photos, but I am a bit concerned about choosing the correct fabric and cutting it accurately. I checked with the Mesquite Bean and also with my friend at Las Colchas. My friend, Francine said to drop on by her shop and she would give me some guidance. The Mesquite Bean is offering a one day class in OBW in January. They also offer a free sewing time every Tuesday available for people to come work in the back room, and ask for guidance if needed. I know I want to make a OBW, and I am thinking of making a 52 hexagon journal quilt. I also viewed many tutorials online. The problem I still have is with the quilting of the hexagon. 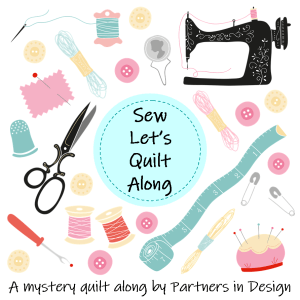 Do you quilt through the top fabric, the batting, and the backing; or, do you just quilt the top and batting? I saw a video on You Tube by CraftyAttic. In this video, the top layer, a layer of sheeting were quilted. After these two top layers were quilted, they were embellished with embroidery, beads, and other things. After the decorative stitches and things were done, a backing was added. Today, I used one of my wonky blocks that I had in my “What Do I Do With This?” box. I practiced with free motion on a practice block. This is the first time the threads did not loop or pucker. I had read a tutorial on how to fix this problem. My meandoring is not the best, but it looks okay on a 6.5 ” hexagon. I embellished it with ribbon-thread embroidery and some buttons. I also chose to follow the directions from CraftyAttic, and just free motioned the top and sheeting; but I placed the batting between the two. But this is what concerns me. Is this too loose, and will it separate? I am planning to visit Las Colchas on Saturday, on Support Local Business Day. I think I will take this hexagon and ask the experts in the shop. Would you quilt all layers? Would you quilt only the top, batting, and sheeting? Anyway, this is all for the rest of the weekend. I plan to enjoy the holiday. I am thankful for my blogging friends!